Category: Books, Ancient Wisdom, Religion and Spirituality Tags: Enlightenment, meditation, Meditative path, psychology, spiritual, therapy. 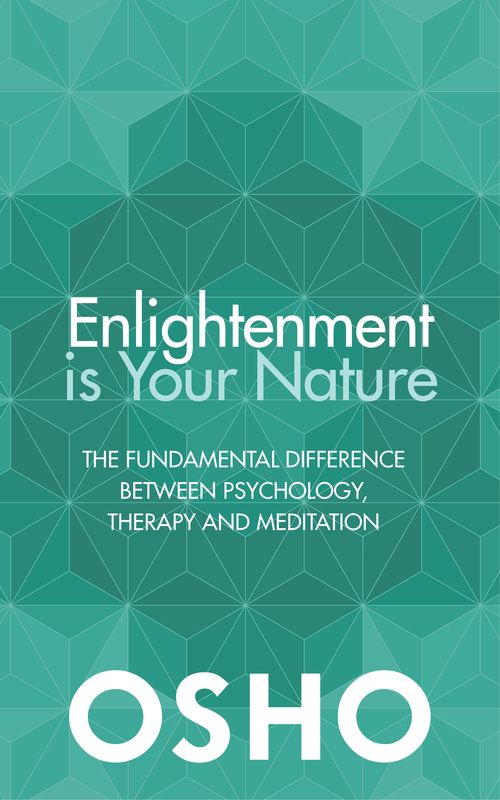 The Fundamental Difference Between Psychology, Therapy and Meditation. “Enlightenment” in Western cultures has long been associated with the 18th-century movement that brought about a new “age of reason”. As Zen, Buddhism and other Eastern wisdom traditions have captured the imagination of the West, “enlightenment” has come to be known as a specific state of consciousness attained by an individual on a spiritual or meditative path. However, the Judeo-Christian context, with its belief in a divine power “out there” and separate from the individual, hinders most Westerners’ ability to comprehend “enlightenment” in the Eastern sense. Our theistic conditioning leads to such common misunderstandings as perceiving enlightenment as the attainment of supernatural powers, or as something achievable only by those who are somehow “special”. In this work, Osho deconstructs these misunderstandings and offers a radically different view of enlightenment, freed from all spiritual and religious beliefs – including the distortions of asceticism and renunciation that have arisen in Eastern and Western cultures both. Taking the reader step by step through the history of how both East and West have approached the mysteries of the human mind and spirituality, Osho offers a simple science of consciousness that he calls “the psychology of the buddhas”. It is a science that in very clear terms shows how one can, through awareness and taking full responsibility for one’s life, go beyond all limited belief systems, habits, and superstitions of the mind. That process, he says, brings us back to our nature – and that is enlightenment.